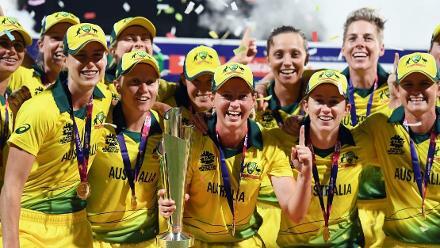 England booked their place in the final of the ICC Women’s World T20 2018, with a convincing eight-wicket win against India, on a surface aiding turn at the Sir Vivian Richards Stadium. England booked their place in the final of the ICC Women’s World T20 2018, with a convincing eight-wicket win against India, on a surface aiding turn at the Sir Vivian Richards Stadium. As many of the 7000-odd fans who had turned up for the first semi-final stayed on, England made light work of what seemed like a tricky total to enter their fourth final in tournament history. 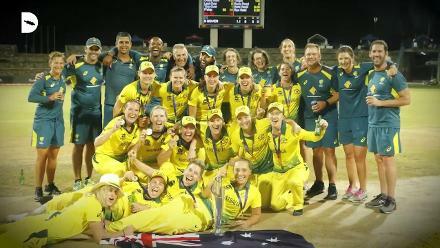 A match-winning third wicket partnership worth 92 between Natalie Sciver and Amy Jones saw England play the conditions better, after India came into the match as the in-form side, having remained unbeaten in the Group Stage. England made a slightly nervy start in a chase of 112, losing both openers with 24 on the board. But then Jones and Sciver combined to ensure there were no further obstacles in the chase. Sciver, who scored 52 (40b, 5x4), was dropped on 2 in the seventh over, but after that looked in no discomfort. India’s set defensive fields and their bowlers bowled consistently short, taking a slow pitch out of the equation. 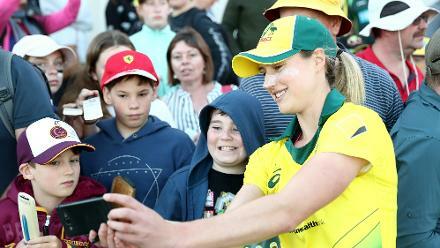 Amy Jones hit the only six of the innings on the way to her highest T20I score, an unbeaten 53 (45b, 3x4, 1x6) and was the more aggressive initially, batting on 15 off 11 when she was joined by Sciver in the fifth over. By the 11th over, Sciver had pulled ahead. She was extremely strong on the pull, bisecting the deep fielders on multiple occasions. The pair put on a 92 runs off just 74 balls, setting up a date with Ashes-rivals Australia on Saturday. Earlier, Smriti Mandhana seemed to be batting on another pitch as compared to all the other Indian batters, as she rode her luck to a quick-fire 34 (23b, 5x4, 1x6). While most others struggled to time the ball, Mandhana’s looked fluent, picking her bowlers and her areas, becoming the second highest run scorer in the tournament on the way. 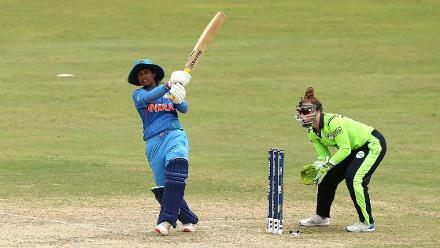 Mandhana was dropped on 13, and helped India to a 43-run opening partnership, which was then built on by Harmanpreet Kaur (16, 20b, 1x6) and Jemimah Rodrigues (26, 26b, 3x4). The pair took India to a position of seeming strength, at 93 for three after 15 overs. 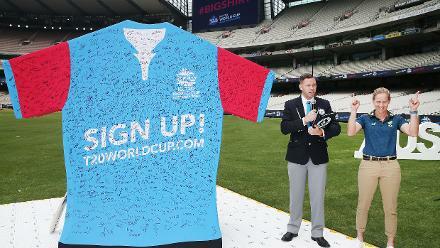 From there, India lost five wickets for 11 runs to eventually collapse to 112 all out in the last over. 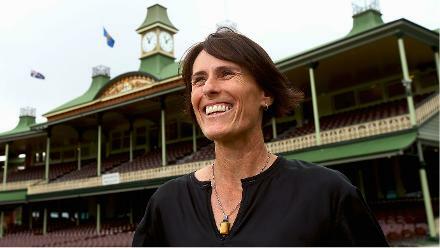 The slide began when Kirstie Gordon took two wickets in the 16th over, including that of Harmanpreet. 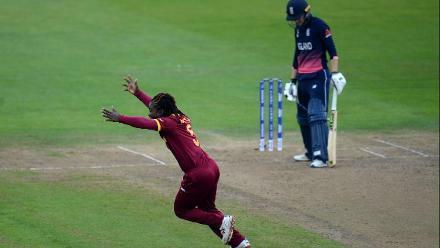 The new batters failed to negotiate the lack of pace, as three wickets fell to run-outs, and the rest to the England spinners, ensuring England had a chase-able total on their hands.